Suh-weet! Loving Reflector, despite how bland his design is compared to all the other 'bots. Stupid work firewall won't let me see anything But that magnus one you uploaded looks great! I will probably never get tired of seeing Animated designs. Awesome! I was thinking about this last night on top of how much I'd like to see the rest of the combaticons beyond Swindle. Hmmm, Perhaps they should do a book filled with animation models. I am not in any way opposed to UMags' vehicle mode, there. Is he some sort of thundertank? Episode 30? So these designs were unused then? Man Highbrow looks...unexpected. But still very very cool! 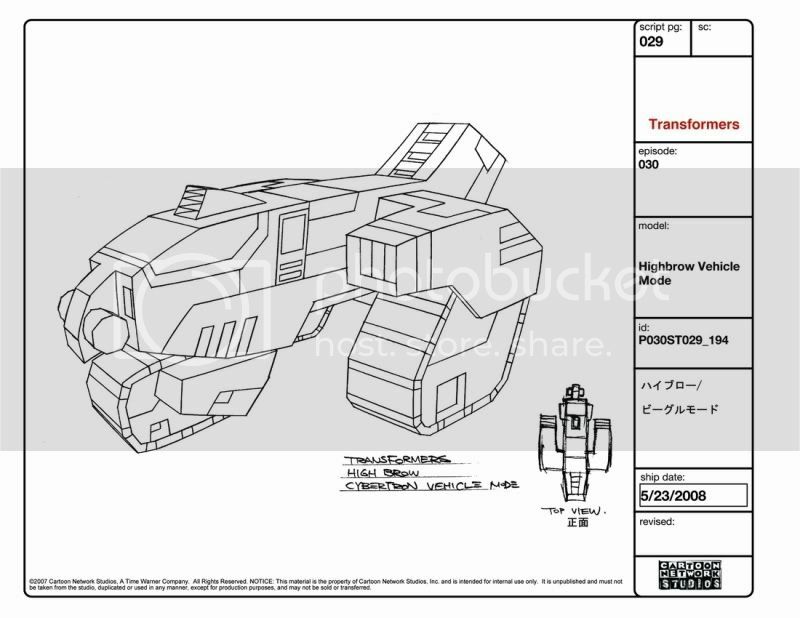 Magnus's cybertronian mode also appears in Transwarped. HE TELL ME DRILL WILL PIERCE MUFFINS! 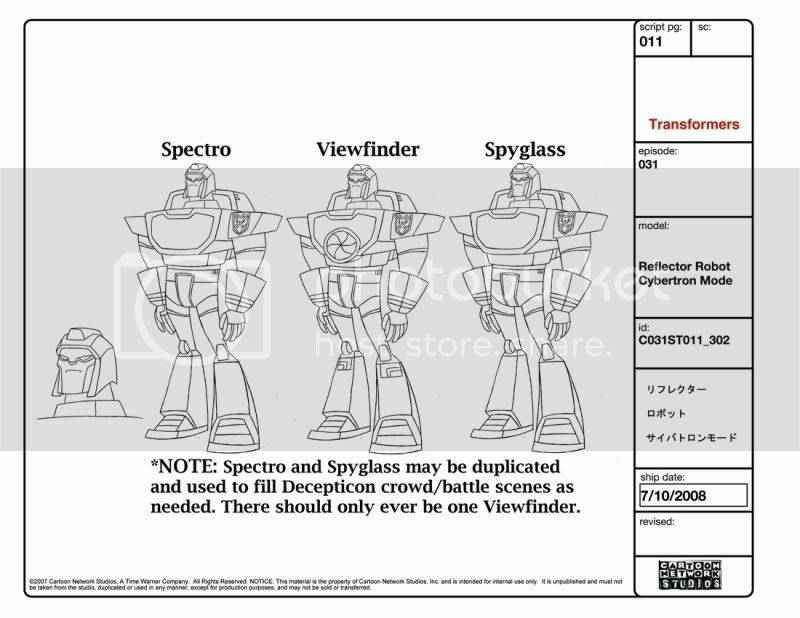 Very cool, I too would love a book of nothing but various generations of TF done in Animated's style. CHAOS! You got a one way ticket to CHAOS! CHAOS! Wow. I totally don't remember any of that. Thats it. I cant live without Animated anymore! I miss the show with a passion and I will not sit here and look at these awesome designs! Even better would be toys, but a book works. Well, they are the 'camera-cons'. Innovative design and unique styling has never really been part of their resume. The Ultra Magnus Cybertron mode is fairly neat, though Highbrow makes me wonder what his Earth form would be? Actually my first thought on seeing it (before knowing it was Highbrow) was "Metal Gear! ", but anyway. Maybe based on some kind of military version of those Police-bots you see in the show some times. Then again, from what I remember he vanished without trace, possibly killed by Shockwave, so maybe it wouldn't matter. Anybody care to color these in? I'd kinda like to see Cybertronian Roadbuster Ultra Magnus.